In Picture (L-R): Sarah Quinn and Joan Murphy from O'Hanlons Bar, Mullaghbane present a cheque to Eamon Murphy of PIPS Newry & Mourne. Joan raised £280.00 by holding a prize draw over the Christmas period. 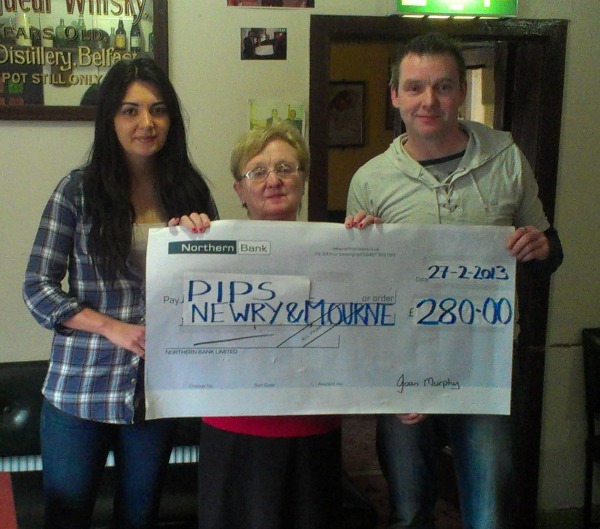 PIPS Newry & Mourne would like to express their gratitude to Joan and all at O'Hanlons Bar for this kind donation".